Biobest announces the launch of “Bee-Coat”. Bee-Coat is a new, reusable polystyrene outer coating which can be easily folded and used as a protective coat for its bumblebee hives. 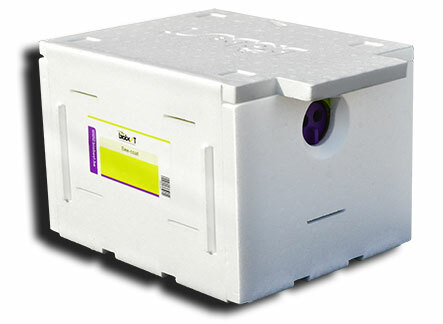 It is designed for perfect fit around the Biobest cardboard hive box. Folding is easy and foolproof, since all sides are permanently connected. Enjoy the full flexibility of Biobest’s broad range of hive types. Thanks to the new Bee-Coat, Biobest turbo, premium, standard and medium hives can now be individually protected from rain and cold and are ready for outdoor use. With this addition, Biobest continues the expansion of its product range for outdoor pollination. Demand for bumblebee pollination outdoor is booming. The company aims to provide tailor-made solutions for every grower, whatever the crop or the country. The company’s Multi-Hive remains a robust classic for outdoor use. The Turbo-Hive was launched earlier this year as a special hive type for outdoor crops with a rapid blooming peak. Check the Bee-Coat instruction movie on our Youtube Channel ‘Biobest Group’.